Child care bosses have urged Channel 4 to pull the plug on a reality show which they say is "emotionally abusing" participants as young as eight. Boys And Girls Alone, which features children left to their own devices in cottages in Cornwall, has shown some of the youngsters fighting and crying. Cornwall County Council has written to Channel 4 and watchdog Ofcom calling for the remaining episodes to be axed. Channel 4 said the children's welfare was its first priority. The series features 10 boys and 10 girls aged eight to 11 who are given the chance to experience life without their parents for two weeks. They live in two "villages" and separated on gender lines, they decide everything about the way they live, including what to do and eat, when to get up, whether to clean and wash and how to organise and entertain themselves. The first episode shows the girls squabbling over sleeping and cooking arrangements and some of them feeling picked upon after splitting into factions. Two episodes of the show have already been aired and there are two left to show. Ruby Parry, Cornwall County Council's assistant director for social care and family services, said it may seek an injunction to prevent the remaining episodes from being aired. She said they should not be shown because of serious concerns of "emotional and psychological abuse". In a letter to Channel 4,she said the board did not condone "the experimentation with the emotional and psychological welfare of children" it portrayed, and said the programme raised serious safeguarding issues. In the first episode Ms Parry said that some the children were greatly distressed, which in the board's view was "abusive". "This distress has now been publicly broadcast to all of these children's peers, and is therefore likely to have long term consequences for some of them," she wrote. 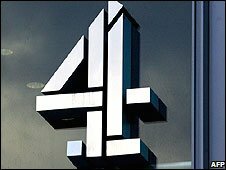 "It is in our view highly irresponsible for Channel 4 to broadcast a programme which demeans and to some extent demonises children and thus re-enforces negative public perceptions of children and their vulnerability," she added. The letter also stated that the board was considering "legal options" which would involve seeking an injunction to stop the final two episodes from being broadcast. Andrew Mackenzie, head of factual entertainment at Channel 4, said the network regarded children's welfare as its "first priority when filming". He said all programmes were made in consultation with the relevant Ofcom guidelines. "All the children were carefully chosen and screened by appropriately qualified experts, including a clinical psychologist, to make sure they could cope well with the experience of being in the series," he said. He also categorically denied that Channel 4 had breached performance licensing legislation as the children were "not performing". An Ofcom Spokesman said: "We will be conducting an investigation into Girls and Boys Alone. We continue to monitor the programmes as well as the complaints that we receive."